Being a renter has its advantages and certainly lots of disadvantages. For someone who loves design, like myself, the whole not being able to make permanent changes is really annoying. On the other hand though, would I really want to spend lots of $$$ to make personal changes when I'm just going to leave in a year or two? In the meantime, the longer I live in my apartment the more I know for certain what is on my list of must haves for my own place. Like with many apartment dwellers one of the items that tops the list is STORAGE. Given that I see apartment/condo living for us in the future and extra bedrooms may not always be an option, storage is key! 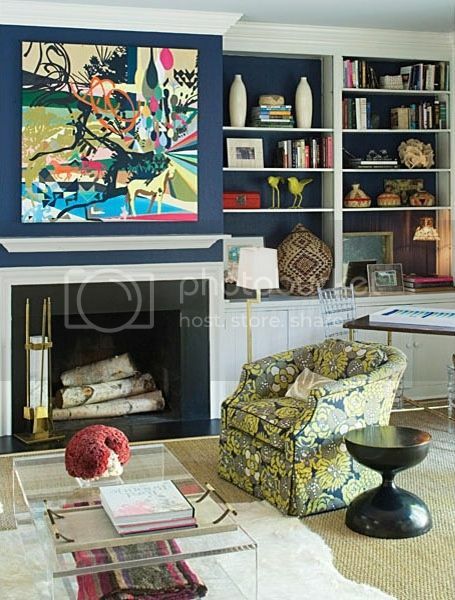 Seriously,what I wouldn't give to have built in bookcases & cabinets next to my fireplace and in the office. All that storage space for books and things in the cabinets- I don't know what I would do with myself. I cant wait till I don't know what to do with myself! 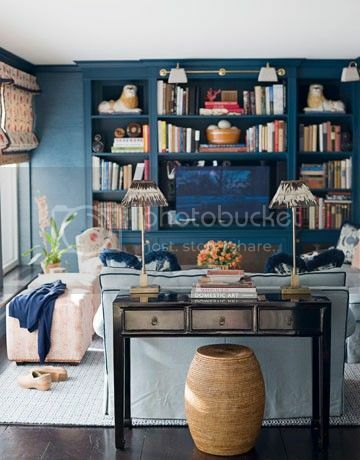 I love shelves--built-in, or not. You can find beautiful free standing bookcases on Craigslist for a BARGAIN! 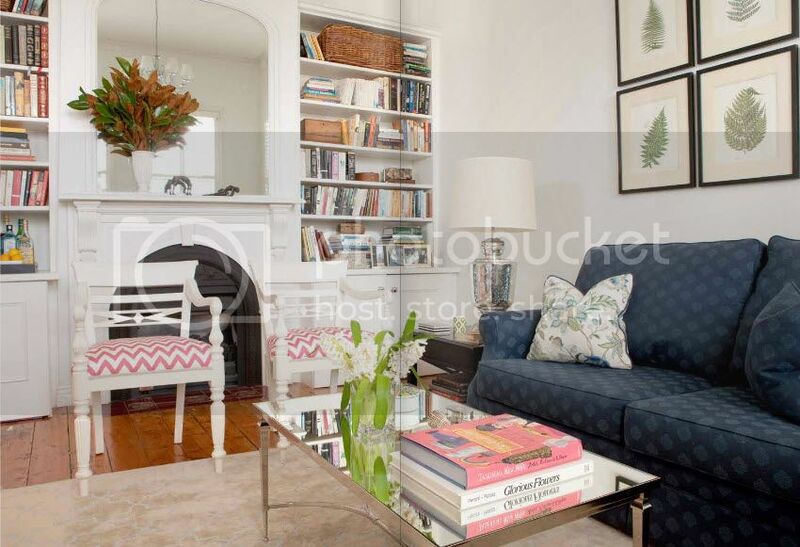 Lots of folks are downsizing and they had bookshelves before built-ins were standard. hey lady, im a long time LEB follower and I definitely identify with your renter woes. I'm living in an apartment with some LINOLEUM floors and I'm all I can do not to spend a fortune on floor tiles- better yet- hardwoods! As a renter, I completely agree. Storage is KEY! Also a big closet for the master. Teehee. I own my condo, however their is virtually no storage space except for the bins lining the sides of my garage! Creativity is the key! Let me tell you it will be endless fun. I change out my built ins at least ever other month. That's a good night of entertainment in my book. i love ALL of these photos but that first picture is right up my alley!!!! 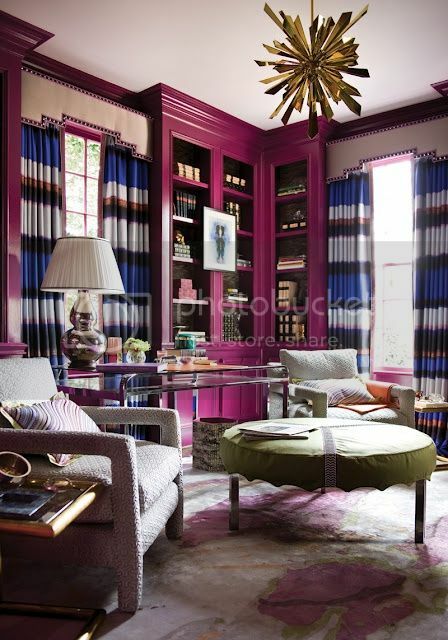 love the colors and the color coordinated books in the cases! These storage solutions are so great. You can really get a thrifted piece and enhance it with color to zhuzh up your room with very little cost. Wishing you the best this year! 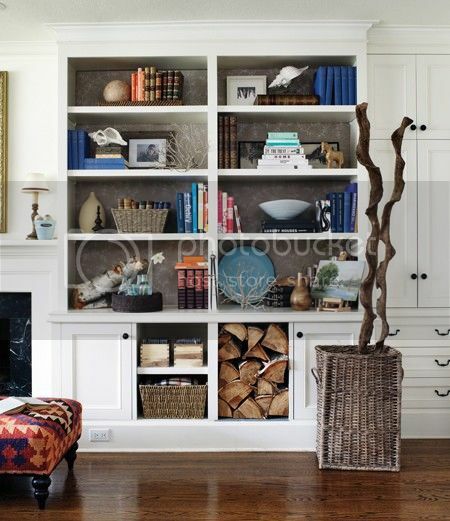 I really want built in bookcases for my living room. Your images are so perfect.